M3 trolley product range are designed to meet higher standards for cleaning and facilitating to increase functionality, space, outlook and flexibility. 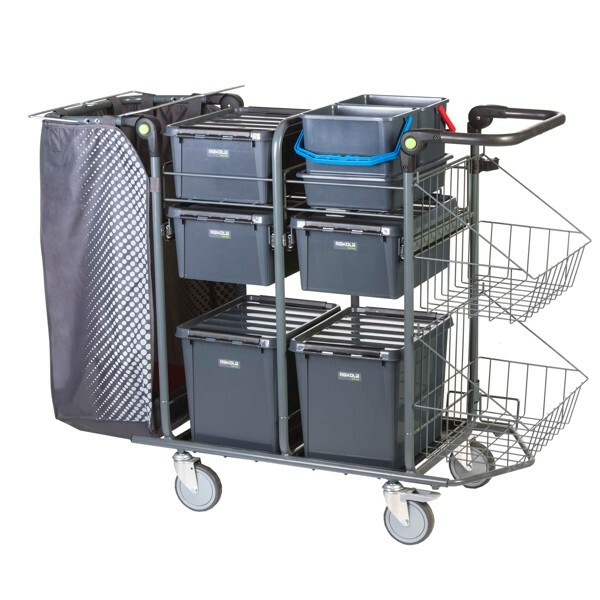 These trolleys can be seen at airports, railway stations, hospitals and in modern offices. These trolleys are not just for cleaning. Facilitating is the new statement for these trolleys. The trolleys are designed with all ergonomic features as required in Scandinavia. The trolleys have a large capacity to accommodate multiple items for cleaning and facilitating reducing trafficking time to replenish stock – that’s productivity! Capacity. That’s what you will get with the M3.1 general cleaning trolley. The M3.1 will also introduce you to a modern way of thinking about ergonomics. The M3.2 trolley is the big brother to the M2.1 - and a work horse. 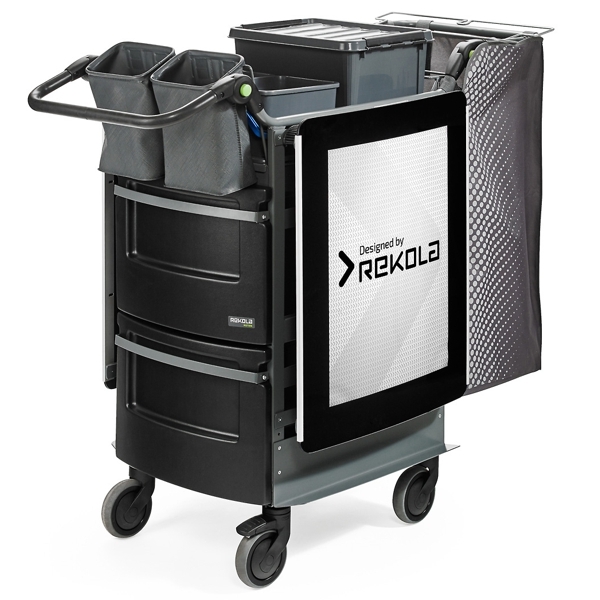 Whatever your cleaning and facilitating needs are this trolley is totally flexible to suit those needs.